This morning, Ipswich Rotary President Lisa Shanko took time out of her busy work schedule to join Gloucester Rotarian Tracy Arabian and former Ipswich Rotarian Rev. Glenn Prescott to deliver “Meals on Wheels” to Ipswich residents. 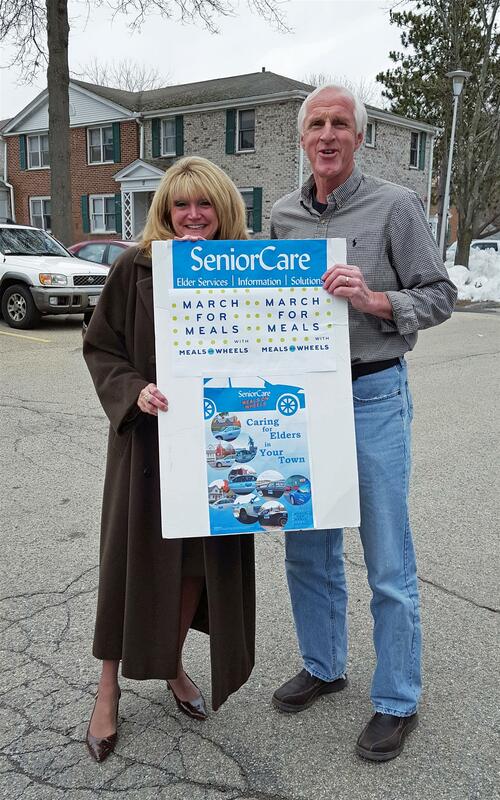 Meals on Wheels is provided locally by SeniorCare Inc. of Gloucester. This program is constantly in need of volunteer drivers to deliver noon time meals to homebound seniors throughout the North Shore area. Anyone interested in volunteering one or more mornings a week will be greatly appreciated. Meals on Wheels drivers pick up fully prepared and packaged hot meals on the morning of each delivery. SeniorCare’s Meals on Wheels program brings a daily meal right to the door for frail and homebound elders. Menus are designed by nutrition experts to meet the needs of older adults and are prepared by a professional caterer. In addition, homebound elders have a daily interaction with the delivery team—sometimes their only human contact that day. SeniorCare currently delivers Meals on Wheels to more than 550 elders each day. Annually, this means 136,216 home-delivered meals and 39,250 meals served at dining sites in Beverly, Essex, Gloucester, Hamilton, Ipswich, Manchester, Rockport, Topsfield, and Wenham. For information, or to volunteer, contact SeniorCare’s Nutrition Department at 1-866-927-1050 or 978 281-1750, Monday – Friday, 9 am. to 4 pm.